Whether you call them the northern lights or the aurora borealis, these dancing bands of color are truly a magical sight to behold. The best time to see the lights is in the middle of winter, when the days are longest and the temperatures are coldest, but there are opportunities to see them between September and mid-April. Alaska is without a doubt one of the best places in the world to enjoy this unique experience, so here are the top places to see them and the best tour companies that will ensure you have a memorable experience. Encompassing more than six million acres of Alaskan wilderness, Denali National Park is a stunningly beautiful nature preserve only accessible via the thin strip of road known as the Dalton Highway. Almost every part of the park is completely free from light pollution, so no matter where you're staying, there's an excellent chance that you'll see the aurora if you're visiting the park at the right time of year. The aurora can usually be seen here by the second week of August, but the opportunity to watch the lights is gone by the end of April each year. 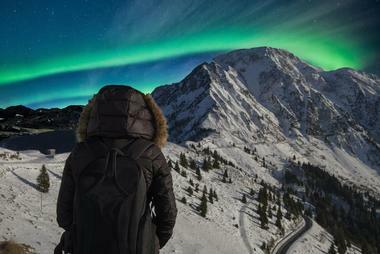 Anchorage is the largest city in Alaska, making it ideal for visitors who want to enjoy the northern lights without compromising on modern conveniences. The area has far less light pollution than most other major cities in the world, and plenty of excellent aurora viewing spots can be found only a short drive away from the downtown core. Self-guided tours are possible, but there are plenty of local tour guides available to make sure you have the best experience possible. 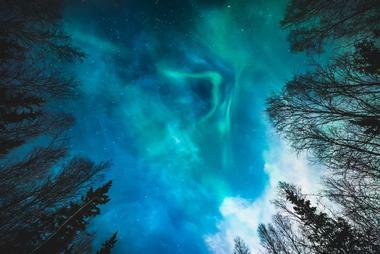 The aurora can be seen as early as 8 pm in the winter, but the show is typically best around midnight. 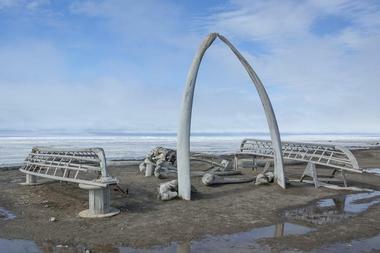 Situated on the Arctic Ocean, 330 miles north of the Arctic Circle, Barrow is farther north than any other community in the United States. 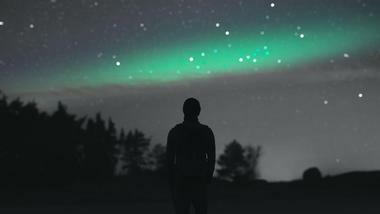 The skies are sunny 24/7 between May 10th and August 2nd, but during the dark winter months, it's one of the best places in the world to see the northern lights. Not many visitors are brave enough to endure Barrow's harsh, cold winters, but those who do will be rewarded with a unique glimpse at traditional Inupiat culture as well as a front-row seat to one of the most amazing light shows in the world. Formerly a gold mining settlement, Coldfoot is little more than a truck stop halfway between Fairbanks and the Arctic Ocean. However, its remote location and its position at the 67° parallel north make it an ideal destination for anyone interested in seeing the aurora. The area is home to a lodge known as Coldfoot Camp, which offers rustic accommodation, dining options, and assistance booking local activities and excursions. Many tour companies based out of Fairbanks and Anchorage bring visitors here, but it's also possible to drive yourself; the lodge sells fuel and can help with minor tire repairs. 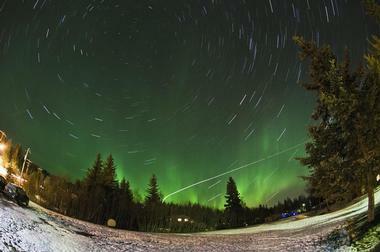 The city of Fairbanks can be found right underneath the famed Auroral Oval, a ring-shaped zone of extremely concentrated aurora activity in the far north. 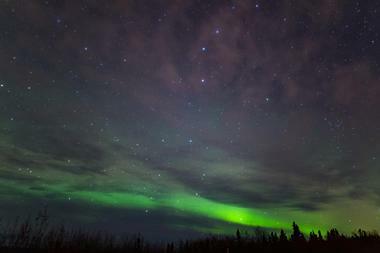 The area offers plenty of cozy viewing lodges and some of Alaska's most famous aurora watching spots, including the Murphy Dome and Chena Lake, but visitors can also rent a four-wheel drive vehicle and drive off to hunt the aurora on their own. 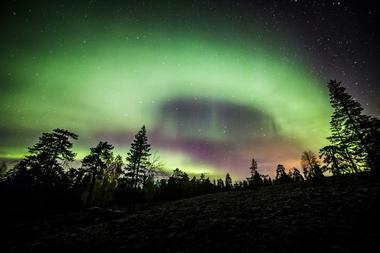 The city is only 150 miles away from the Arctic Circle, and many visitors choose to combine their aurora watching trip with an excursion into the Arctic Circle. The capital of Alaska, Juneau is a popular cruise ship stop and can only be accessed by plane or by boat. 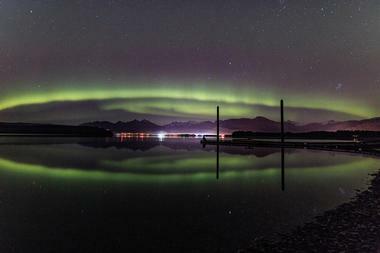 Many of the cruise ship operators based out of Juneau offer northern lights cruises in the fall and early spring; this is a great way to enjoy the beauty of southern Alaska while chasing the aurora. However, visitors should be aware that the lights are not seen here as often as they are further north, and anyone who has their heart set on catching the aurora would be well advised to spend some time in northern Alaska as well. Located on the tip of the Seward Peninsula, Nome is a great choice for anyone who wants to enjoy the aurora while getting a taste of life in rural Alaska. The 350 miles of road originating in the town make it easy to explore some of the most untouched wilderness in Alaska, but the northern lights can be seen as close as one mile outside of town. 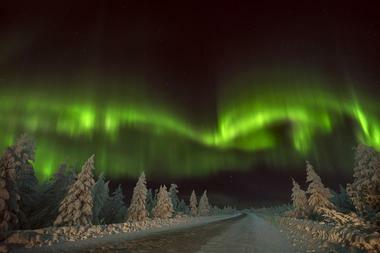 The aurora can typically be seen here between November and March; green and white are the only colors seen most of the time, but other colors do appear on occasion. Family owned and operated since 1992, Airlink Alaska is a charter bus company that can cater to the needs of almost any size group. The company's most popular tour brings guests to the Murphy Dome, one of the highest mountains in the Fairbank area, where they can enjoy panoramic views of the night sky. 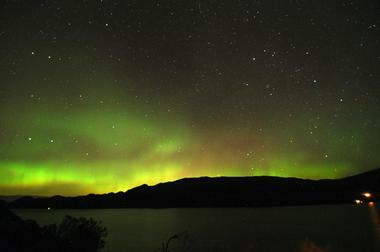 Visitors who would prefer to view the lights from the comfort of a cabin can join a tour to the Aurora Viewing Lodge. Tours begin at 9:45 pm and end at approximately 3 am, and hotel pick-up and drop-off is included in the rate. 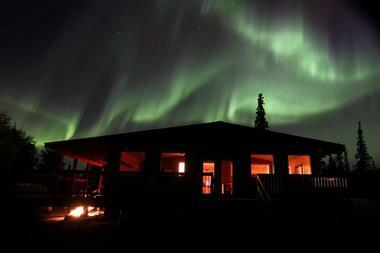 Thanks to their cozy but remote viewing lodge, Alaska Aurora Adventures is perfect for visitors who would like to view the aurora in comfort. Hotel drop-off and pick-up is provided, and the viewing lodge comes with a warm fire and a variety of food and beverages. 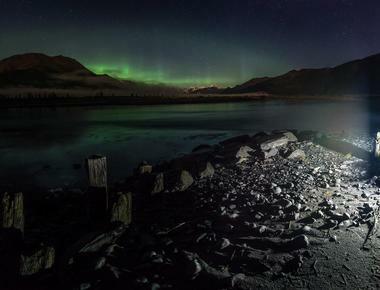 Camera rentals and professional portrait photo sessions are available, and the company also offers photo tours, including some that allow visitors to capture the reflection of the aurora in one of the nearby lakes. 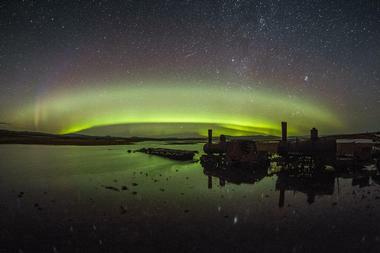 Guests who would like to maximize their opportunity of seeing the aurora can book an all-night aurora viewing that lasts between 10 and 12 hours. Offering customized trips through Alaska for groups of every size, Alaska Tours is more than happy to help visitors view the beauty of the northern lights in whatever way they prefer. The company offers a wide range of tours to choose from, including everything from short tours that take guests 30-45 minutes out of Fairbank to four-day trips into the Arctic Circle. Some tours include dinner; another exciting option is to fly into the old mining town of Coldfoot and stroll across the Arctic tundra before hopping on a bus to head back down the Dalton Highway. 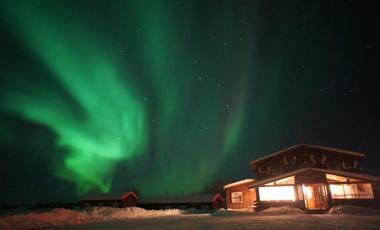 Located 20 miles outside of Fairbanks, the Aurora Borealis Lodge provides a cozy place to relax and enjoy the beauty of the northern lights as they dance across the sky. The lodge is situated on a ridge that allows guests to enjoy an unobstructed view of the night sky, and it features large north-facing windows as well as an outdoor viewing deck. Complimentary hot beverages are provided, and guests can choose between transporting themselves to the lodge or being picked up by the company. The lodge is open between the end of August and the beginning of April, and reservations are required. Built in 1951, Bettles Lodge offers two accommodation lodges with modern amenities as well as a rustic aurora viewing cabin next to a beautiful mile-long lake. The cabin is located 2 miles away from the lodges in an area completely free from light pollution; round-trip transportation out to the cabin can be arranged, but guests are also welcome to cross-country ski or snowshoe if they prefer. The company also offers tour packages that include guided snowshoe or ski excursions, tours of the village of Bettles, evening bonfires, and all of the clothing visitors need to brave the cold weather. 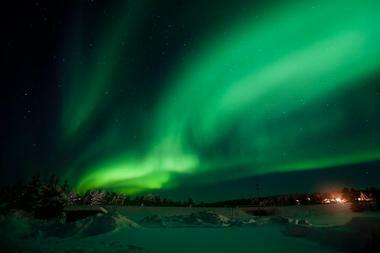 No matter where in Alaska you happen to be, Globerouter can help you book a tour to see the northern lights. Tours range in length from several hours to week-long trips with multiple aurora viewing opportunities, and guests can choose optional add-ons like ice fishing, crossing the Yukon River, and making a trip into the Arctic Circle. 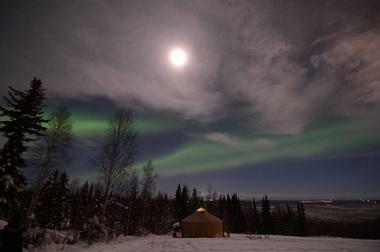 There are plenty of viewing spots to choose from as well; two of the more popular options include a cozy lodge at White Mountain and the Murphy Dome in Fairbanks. 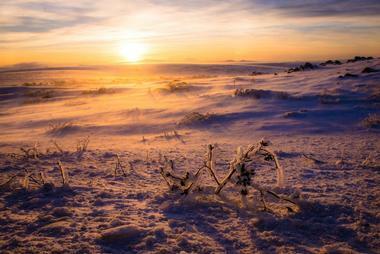 Some of the tours include photography instruction, but dedicated photo excursions are available as well. 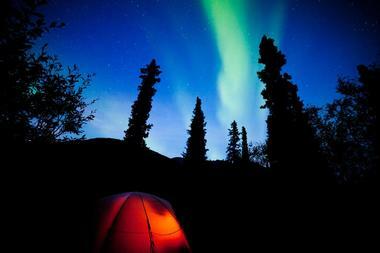 Offering a selection of trips out of both Anchorage and Fairbanks, Go Alaska Tours specializes in four to eight-day aurora tours. There are several destinations for visitors to choose from, including the remote Bettles Lodge, the spa resort of Chena hot springs, and a heated log cabin tucked away in the trees above Fairbank. Another popular option is to take a train along the Alaska Railroad; in addition to stunning views of the scenery and multiple opportunities to see the aurora, these trips offer the chance to enjoy activities such as dog sled tours, ice skating, cross-country skiing, and snowmobiling. 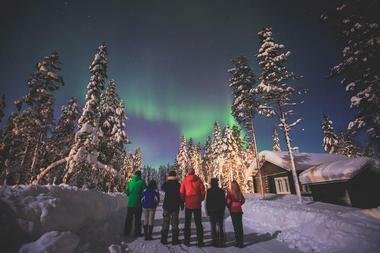 Gondwana Ecotours offers more than the opportunity to see the northern lights; it also offers the chance to truly immerse yourself in the local culture. Two local guides lead each tour, providing information about the aurora as well as about the activities available in the area. A personal wake-up service is provided for when the aurora is active, and the guides are more than happy to help guests capture the perfect photos of their experience. The tours run for 6 nights and 7 days; accommodation is provided just outside of Fairbanks, and breakfast and transportation are included in the trip cost. One of the first tour companies to bring visitors to the Arctic Circle via the Dalton Highway, Northern Alaska Tour Company is one of the oldest tour operators in Fairbanks. There are several excellent tour options to choose from, including a trip out to the Aurora Tent on the Yukon River, a guided tour out to the remote town of Joy, Alaska, and a round trip journey from Fairbanks to Coldfoot by both plane and car. All tours include information about the aurora and the history of Alaska's Arctic, and some also include complimentary hot beverages. Planet Earth Adventures offers an all-inclusive 7-day trip from Anchorage to Fairbanks that allows guests to experience some of the best Alaska has to offer. The tour price includes all accommodation and transportation as well as a professional photographer and guide who will ensure that you get the most out of your aurora tour. All of the necessary winter clothing is provided, and the last 2 nights of the tour are spent at the secluded Chena Lodge, where guests can relax in the hot springs or participate in exciting activities like a dog sled tour and cross-country skiing. Staffed entirely by local experts, Pursuit Alaska Collection can help you book a northern lights tour from Fairbanks, Anchorage, or Coldfoot. A wide range of tour options are available; transportation options include train, plane, cruise ship, and car, and viewing locations range from the remote Denali Backcountry Lodge to a rustic camp just outside the charming town of Coldfoot. The company is more than happy to help you arrange a customized vacation package; possible tour add-ons include guided tours of the Dalton Highway, side trips to the Alaska National Wildlife Reserve, gold-panning excursions, and photography tours. Specializing in small, customizable tours with a personal touch, Salmon Berry Tours is the perfect choice for visitors who want to experience Alaska as the locals do. Customers can choose to plan their trips from scratch, but the company offers a selection of pre-planned trips as well, including an all-day trip that includes some time at the Chena Hot Spring Resort. Another popular option is the overnight tour, which includes a 2.5-hour dog sled ride, dinner, and an overnight stay at the Talkeetna Roadhouse. Tours run between August 21 and April 21, and reservations are recommended. 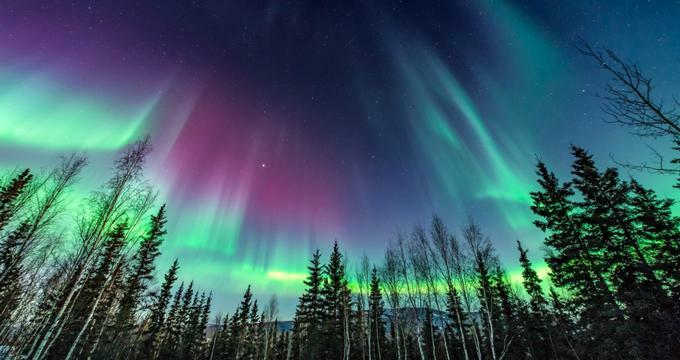 Founded by aurora enthusiasts Ronn and Marketa Murray, The Aurora Chasers is a unique tour company that takes visitors to special remote locations outside Fairbanks, where they can enjoy the auroras dancing without any interference from light pollution. 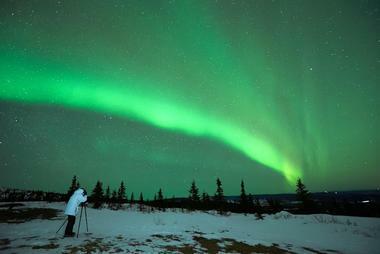 The basic tour includes round-trip transportation, hot beverages, and beautiful aurora portraits taken by Ronn or Marketa; the owners have extensive professional photography experience, and they also run photography workshops that teach people how to capture the best possible pictures of the aurora themselves. Private charter tours with photography instruction are available as well, but guests must bring their own camera equipment. 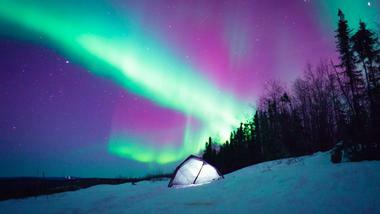 Operating out of Fairbanks, Wild Alaska Travel offers week-long guided aurora tours that include accommodation, transportation, meals, and a number of exciting activities. The tour takes guests along the Dalton Highway and across the Arctic Circle, allowing them to experience some of the most beautiful and dramatic scenery in Alaska. 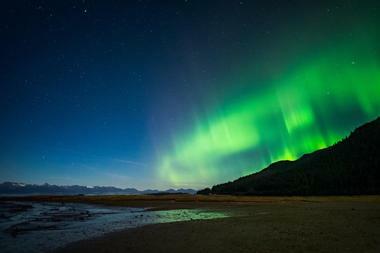 Professional aurora photography instruction is included in the price. If you have more time to spare, the company also offers a slightly longer 10-day tour that includes the opportunity to see and photograph polar bears in their natural habitat. Reservations are required; the company often books up a year in advance.